2 Bedroom Flat For Sale in Preston for Asking Price £70,000. 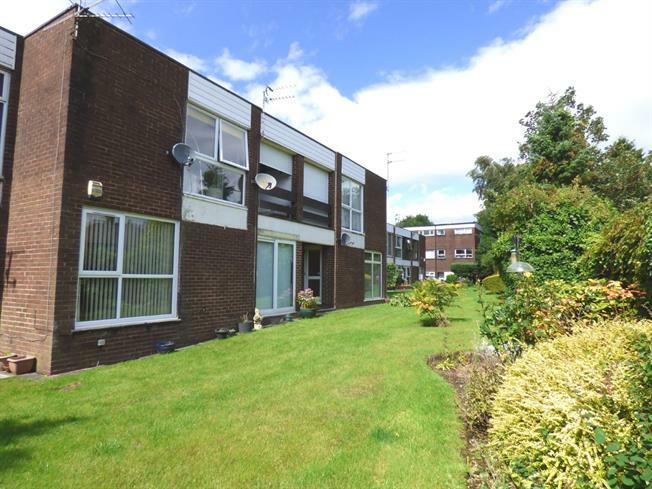 Spacious two bedroom first floor apartment situated within this quiet secluded cul-de-sac in Ashton requiring modernisation throughout. No chain delay and viewing highly recommended. The accommodation briefly comprises; hallway, closet, open plan lounge / kitchen, two bedrooms and bathroom. Double glazing and under floor heating, communal gardens and parking. An early viewing is essential. Wood panelled door to the front, storage cupboard and closet. Lounge - Double glazed window to the rear overlooking the rear gardens, under floor heating. Kitchen - Range of wall and base units with complementary work surfaces, stainless steel sink and drainer, electric cooker point, space for washer, part tiled walls and under floor heating. Double glazed window to the front and under floor heating. Sliding doors leading onto the balcony and under floor heating. With roller shutter overlooking the rear gardens. Three piece suite comprising; bath with shower over, wash basin, low flush wc, part tiled walls and under floor heating. Communal gardens and parking on site.